Jon Burroughs is an insipid, wannabe musician craving excitement. Searching passers-by on the street, desperately attempting to grasp inspiration, his pain — the pain of an unknown musician — is familiar to anyone whose ever suffered through a severe case of writer’s block. It seems the red-headed hopeful, played by Domhnall Gleeson (About Time), would do just about anything to spur a vision of brilliance in his life of boredom. Enter Frank. The Max Fleischer-inspired, papier-mâché ridden creation (played by Michael Fassbender) fronts a band called Soronprfbs, lending his Neil Hannon-style vocals to the band’s avant garde, and suitably pretentious, sound. In need of a new keyboardist, Jon joins the band, welcoming his new, bizarre circumstances as an answer to his inspirational difficulties. Those familiar with Frank Sidebottom, the famous alter-ego of English musician and comedian Chris Sievey, will recognise his influence on Frank. Sievey’s wonderfully absurd character was thirty five years old, always sharply dressed, had pop-fame aspirations – and just happened to sport a comically oversized faux head. Screenwriters Peter Straughan and Jon Ronson (a former collaborator of Sievey’s) offer far more than mere retelling with this offering. Instant recognition is denied as Sidebottom’s trademark nasally Mancunian inflection is traded for an American accent. Primarily to preserve Sievey’s mysticism, Ronson’s decision to avoid a straightforward biopic was mutually agreed upon prior to Sievey’s death in 2010. What remains is a template that offers free reign to a character so mysterious, and so versatile. Significantly limited to body movement and vocal expression, Fassbender manages to express a remarkable amount of emotion through flailing limbs and a welcoming baritone. His performance creates a comfortingly familiar, relatable character, in spite of the obvious visual restrictions. Frank’s role within the band dynamic is more than one of mere vocalist. The others view him as something of a divine enigma – he unlocks their potential, consoles them, and conditions them to explore the furthest corners of their minds. This devout worship that surrounds Frank accounts for the unconventional methods of the band’s production, referred to as ‘fieldwork’; the elements they incorporate into their music are often ephemeral or industrial, ranging from the tinkling sound of a nearby river to Jon’s screams as he cuts himself shaving. It is worth mentioning that there is a genuine quality to the band’s music. Stephen Rennicks, who composed the entirety of the film’s soundtrack, deserves significant praise for arranging a dark, new wave sound; equal brilliant is Lenny Abrahamson and Ronson’s direction, which maintains a gloomy, brooding aesthetic to matches the musical composition. A perfectionist, Frank’s processes take painstakingly long periods of intricate labour and produce only minute parts, a tendency that aggravates his fellow band members. There’s Clara (Maggie Gyllenhaal), whose attitude to Frank oscillates between loving, passionate and utterly pained; there’s also drummer Nana (Carla Azar), guitarist Baraque (François Civil) and manager Don (Scoot McNairy), whose tensions flare and tire, forcing territories of emotional stability to become unhinged. A legion of curious fans gather online as Jon secretly documents the album’s production on social media. Eventually granting them an offer to perform at the SXSW festival in Austin, Texas, this newfound hype is unfamiliar territory to a band so used to a life of continual disregard. Aspiring musicians will instantly, and quite frustratingly, relate to the pressures that lie beneath the band’s struggle to balance the clashing visions of each member. 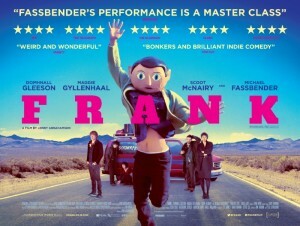 Failing to find a shared perspective is central to the film’s thesis; Frank is, ultimately, an examination of a misfit’s struggle to be understood. The band’s members are constantly ill at ease with themselves, their discomfort palpable to the point that it is almost unbearable to watch. The anxiety that Frank feels as the hype around the band builds is a musician’s nervous excitement for his big break, but fear of displacement. None of the band members are able to find a place, purpose, or understanding. Though an original plot, this rings true to Sievey’s alter, who, as a figure destined for cult-famed status, found inevitable resistance from a mainstream that refused to accept the art in his performance. The Soronprfbs aim to be authentic, but find themselves in a creative limbo: do they preserves their artistic expression, or do they aim for conventional appeal? Frank’s obnoxious head holds far more weight than you’d think, subverting any expectations of comedy. The papier-mâché is his protection from creative discouragement; it creates a safe haven where social rejection does not exist. It must be said that, whether intentional or not, the film delivers a sentimental portrait of Sievey and his overlooked talent. Sievey suffered through years of unappreciative crowds, and arguably died with his genius unrecognised. The character of Frank Sidebottom challenged the limits of novelty and art, attempting commentary on social restrictions and the idea of “normality. 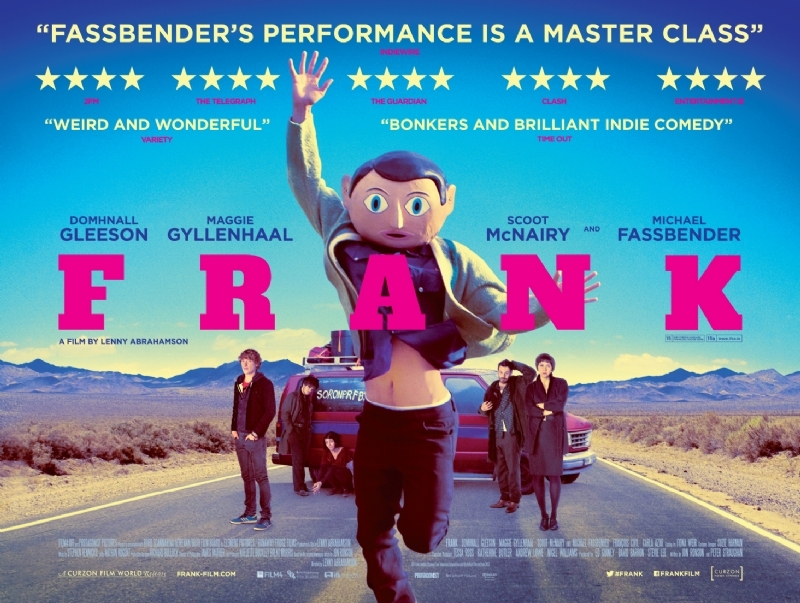 ” Frank so wonderfully encapsulates this – in a way that only a man with a giant, comical head can.